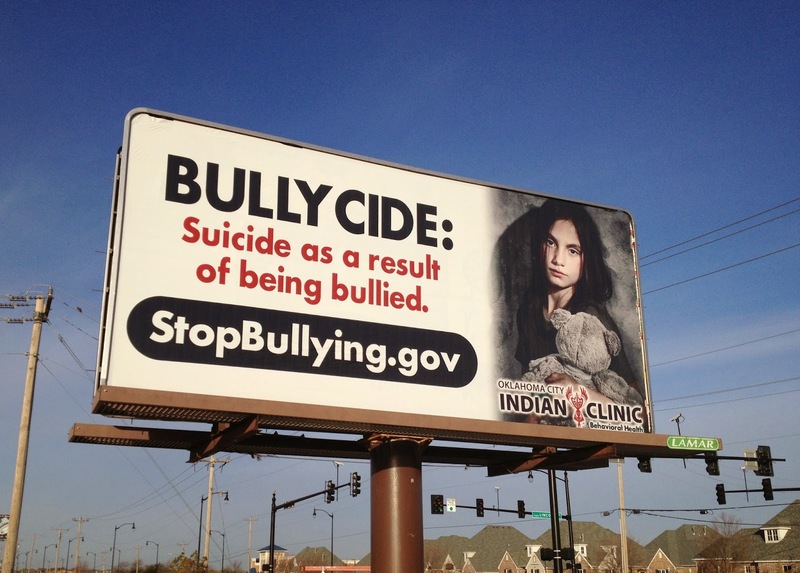 This photo, taken Jan. 24, 2012, shows a billboard in Edmond, Okla.
"A little girl's on the road to recovery after trying to take her life in the walls of her own middle school," Adam Snider reports for KFOR. "Her mother says it was bullying that pushed her daughter too far." Are homeschoolers prepared for college calculus? Is $8,804 per pupil enough?